In Odia language, “Boita” means boat. The traditional vessels in which the 'Sadhabas' (sea traders) sailed off are called Boita. 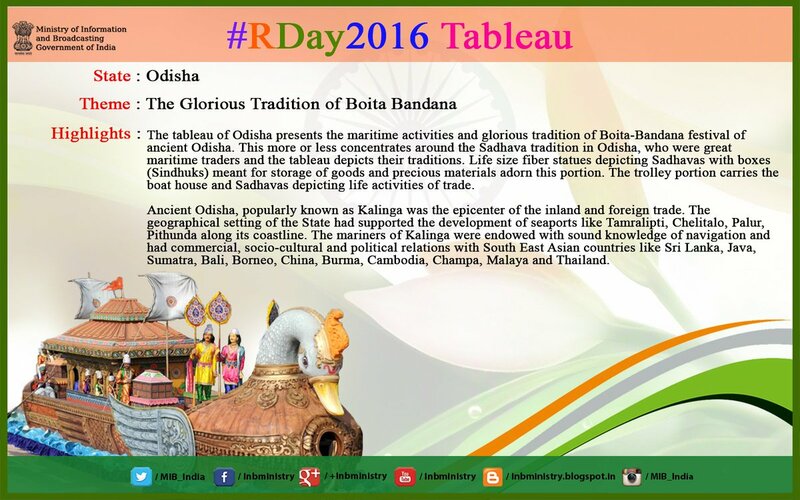 Thus, the Odias celebrate Kartik Purnima day as Boita Bandana, a ritual reminiscent of the maritime heritage of Kalinga. This marks the festival- Bali Jatra/Bali Yatra that means a voyage/journey to Bali. This tradition continues even after so many centuries. 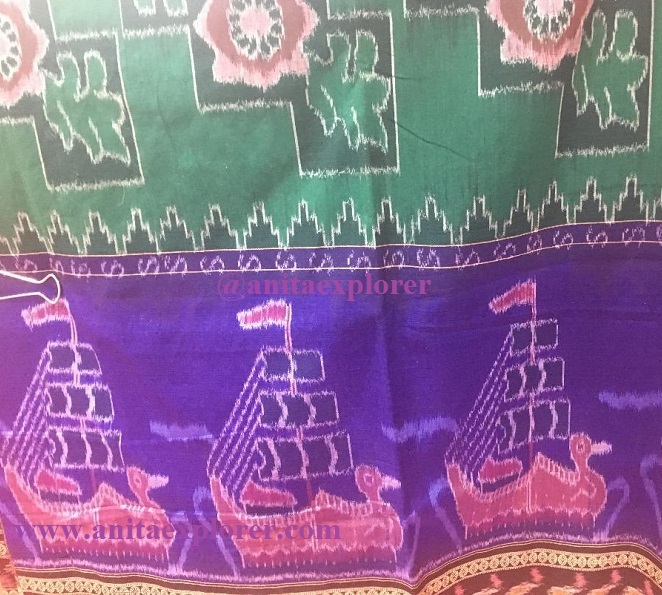 Boita Bandana is also depicted in the Pattachitra – paintings of Odisha. Pattachitra artist, Ms. Saudamini Swain with her 'Boita Bandana' art. 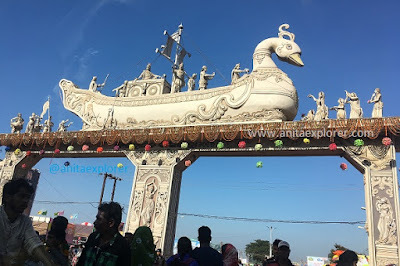 The Bali Jatra is one of the biggest fairs in India that is held on the banks of the river Mahanadi in Cuttack, the previous capital of Odisha. There is a Maritime Museum in Cuttack. Kalinga’s ancient trading ports like Tamralipti have been mentioned by many explorers like Ptolemy, Fa-Hien, Hiuen Tsang etc. Even the Buddhist Jataka texts make have references of voyages from Tamralipti to many nations for trade and missionary activities. There is mention in local folktales too. As per a popular Odia story, Ta’poi, once upon a time, seven brothers left for foreign lands for trade. They left their beloved sister, Ta’poi, under the care of their wives. Except for the youngest sister-in-law, the rest tortured Ta’poi. When the bothers returned, they were very angry and punished their wives for mistreating Ta’poi. Archaeological excavations and findings and stone carving of ships in temples etc are proof of ancient Odisha’s maritime trade. Kalinga's naval connection has culturally impacted these countries. Hindu culture of Bali in Indonesia and Odisha in India still have much in common. Proud 2 watch New Delhi #RepublicDay Parade LIVE. In Odia language, “Bali” means sand. As Odisha had naval connection with so many nations including Bali, Bali Jatra’s scope is wide. More research is needed. There is so much more waiting to be discovered. Wow! 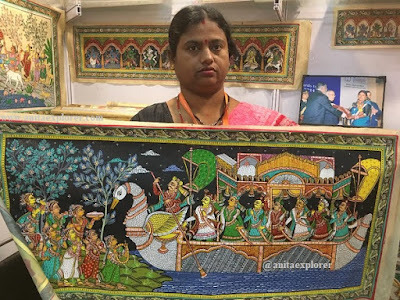 loved your deatils, I have never been to Odisha but your post makes me curious to explore more about it.